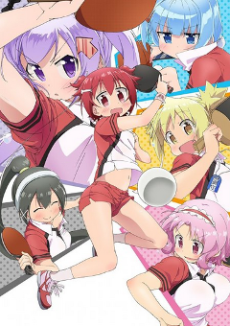 Ever since their champion was defeated, the world of girls' junior high ping pong has been in turmoil. Koyori is the new smirking transfer student at her junior high and she's ready to shake up girls' ping pong. Episode 1 - My Heart's About to Burst! Episode 3 - Love It!! Sports mixed with battle shounen using a by the book structure, but still satisfies both elements. Sweaty Ping Pong Girls. That's what it's all about.